1. Dov Hos is not well known or widely documented, but he was among the leaders of labor Zionism, the founders of the Haganah, the pioneers of Israeli aviation, and the Jews who worked to establish a nation in the interwar period. 2. He was born in Byelorussia in 1894 and emigrated to Ottoman Palestine with his family in 1906. From 1909, he was part of the group that organized guarding of the new city to become Tel Aviv. He was among the first graduates of Herzliya High School (1913). 3. During World War I, the Turks sentenced him to death for aiding Jewish settlement in Palestine; he managed to slip through their hands and flee south to the zone newly captured by the British. 4. By 1920, he was a member of Haganah’s central committee. From 1931-40, he served as a member of the Haganah command center. In 1935, he became deputy mayor of Tel Aviv. He served, as well, in the Histradut. 5. He was CEO of Aviron, the company that trained pilots and established flight lines in Israel and beyond, and also is said to have served as a cover for the Haganah. On his way to a meeting at Aviron, Dov Hos died in a car accident in December, 1940. Sde Dov Airport in north Tel Aviv is named for him. 6. In the aftermath of World War II, the famous ship Dov Hos galvanized world attention on the plight of European Jewish refugees. In Tel Aviv, you’ll find Dov Hos Street running north from Frischmann, parallel to, and east of, Ben Yehuda. 1. Louis Dembitz Brandeis (1856-1941) was a distinguished American jurist, the first Jew to serve as a justice on the Supreme Court. Nice, but why would that make him worthy of having a street named after him in Israel? 2. Born in Louisville, Kentucky, to affluent parents who were universalist in outlook – not strong advocates of Judaism – he grew up to be a prominent lawyer for social justice, but not one with a strong interest in Jewish affairs. 3. Prior to 1914, most American Jews did not actively support establishment of a Jewish state in Palestine. Some opposed it, fearing they would be accused of divided loyalty. Others – the more traditionally orthodox – felt that a Jewish state would come in God’s time, not man’s. Brandeis was strongly influential in changing these attitudes, convincing American Jews that a Jewish state was essential not only for saving Eastern European Jews, but also for reviving American Judaism. 4. He was introduced to Zionism sometime around the 1900 by the English Zionist Jacob de Haas, and later by Aaron Aaronsohn, the internationally renowned botanist and founder of the Jewish espionage group NILI. In 1910, he learned that his uncle Louis Dembitz, for whom he had been named, had been a Zionist. This prompted him to learn all he could about Zionism. Then, as part of his work as a mediator of a strike, he met with Russian immigrant garment workers, who he found to be full of the spirit of democratic idealism. 5. In 1913 and -14, he stuck his toe in the waters of Zionist leadership, and by 1915 he was serving as Chairperson of the Provisional Executive Committee for General Zionist Affairs; he raised millions of dollars for Jews in war-torn Europe, and he improved the organization and its finances, dramatically increasing American membership in the Zionist movement. 6. He resigned from this office when President Wilson appointed him to the Supreme Court. He was nevertheless influential in convincing Wilson of the justice of the Jewish cause in Palestine. 7. After the war, and during the Paris Peace Conference, Brandeis came into conflict with Chaim Weizmann over the aims of Zionism and the means to achieve them. In brief, Weizmann saw Zionism as a political movement with funding from abroad, while Brandeis believed that an economic basis was necessary in Palestine; he was critical of the choices that European Jewry had made, in that they favored political activity in Europe over practical improvements in Palestine. Nonetheless, he retained an interest in the Zionist project and continued to support the efforts of American Jewry in this regard. 8. His contribution at a critical time was to affirm a Zionism born out of the American context, affirming a commitment to Eretz Yisrael as part of the American Jewish identity. You’ll find Brandeis Street running north of Pinkas Street, north Tel Aviv. 1. He was born in Kovno, Lithuania in 1856 to a financially struggling family. His father was a Talmudic scholar, and he had a traditional Jewish education. 2. In 1872, he was sent to East Prussia, where his brother lived, in order to avoid conscription in the Russian army. He continued his Jewish studies with Rabbi Isaac Ruif, also learning German and mathematics. Later, he met David Gordon, editor of HaMaggid. Both men influenced his commitment to Jewish nationhood, which had begun with his father. 3. After a number of failed business attempts, Wolffsohn became successful in the timber trade and settled in Cologne. In 1894, with Zionist Max Bodenheimer, he founded the Association for the Development of Agriculture in Israel, a German branch of Hovevei Zion. 4. In 1896, having read and been transfixed by Herzl’s Der Judenstaat, Wolffsohn sought out Herzl in Vienna. They soon became fast friends. Wolffsohn was a loyal friend and a diplomatic one, standing by Herzl even when he disagreed with him. With his unassuming nature, he mediated between the political and the practical Zionists (explained below), and he stood by Herzl in the Uganda crisis while generally soothing ruffled feathers. The character of David Littwak in Herzl’s Altneuland is said to be based on Wolffsohn. 5. 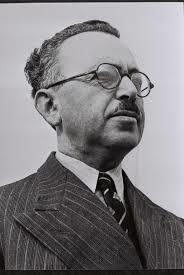 As the moving spirit behind, and first president of, The Jewish Colonial Trust, Wolffsohn ensured its solvency. He became the director of all the financial and economic institutions of the Zionist movement, serving in this capacity until his death. 6. In 1898, he accompanied Herzl to London, Constantinople and Palestine. He was present during the audience with Germany’s Kaiser Wilhelm II, taking photographs that unfortunately did not come out (haven’t we all, at some important moment?). 7. When Herzl suggested seven gold stars on a white background for the Jewish national flag, Wolffsohn lifted his tallit and said, in effect, why re-invent the wheel? We have our flag right here. Thus was conceived the banner with a white field, two blue stripes near the margins, and a six-pointed Star of David in the center. Wolffsohn also introduced the shekel for the payment of Zionist members’ dues. 8. 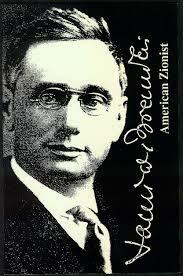 In 1907, after Herzl’s death, Wolffsohn was appointed leader of the World Zionist Organization, its second president. He took a typically moderate stance on the issues roiling up between the practical and political Zionists, all the while maintaining that all WZO programs were being carried out according to Herzl’s plans. The main issue between the political and practical Zionists was this: the political Zionists remained faithful to Herzl’s view that a charter of some kind was necessary prior to organized settlement in Palestine, while the practical Zionists (many of them from Russia, where conditions for Jews were dire) emphasized immediate local activity in Palestine. 9. Wolffsohn carried on with political efforts while allowing practical colonization. Under his watch, an office was opened in Jaffa to foster agricultural settlement; a JNF loan was granted to the founders of Ahuzat Bayit, the settlement that was to become Tel Aviv; the WZO’s official newspaper, HaOlam, was founded; and Wolffsohn traveled widely – to South Africa, Turkey, Russia, Hungary – in furtherance of Zionist efforts. 10. In failing health, he resigned leadership of the WZO in 1911, though he continued as financial director until his death in Hamburg in 1914. His estate provided the means for the National and University Library to be built in Jerusalem. In 1952, his remains were brought to Israel and buried on Mount Herzl. In Tel Aviv, you’ll find Wolffsohn Street just west of the Central Bus Station.